The Reds are magic. It’s really important to remember that. We’re top of the table and, at the time of writing, seven points clear of Manchester City. I’d be absolutely amazed if they didn’t beat Wolverhampton Wanderers later and reduce the gap to four points, but that’s still impressive enough. City are, lest we forget, a team that scored sixteen goals in the space of two cup matches. They’re the only side to score two goals against us in a Premier League game all season. They’re the team that racked up a Premier League record one hundred points in the 2017-2018 campaign and are considered by many to be finest team that the English top-flight have ever seen play. Yet the worst that we can be heading into our next match is four points in front of them. We are a brilliant football team. There’s no denying that Pep has built an amazing ManCity squad with City management giving him more money to spend. On the other hand, Liverpool who doesn’t have an Arab backing, still are table toppers. Klopp has played his role amazingly. I’ve written recently about how important it is to enjoy this as much as possible, with those saying that we need to win a trophy in order for it to be a success chatting absolute nonsense. We are watching arguably the best Liverpool side since the 1980s and trophies won’t change that fact. Istanbul was one of the most exciting, thrilling and glorious moments of my life but, if we’re all honest, the team that won the European Cup in 2005 was nowhere near as good as this one. Our Champions League win was as much to do with luck as it was talent and tactics. Does the win at the Attaturk Stadium mean that Rafa Benitez’s team was better than this one? Not as far as I’m concerned. This is one of the best teams I’ve witnessed in my adult life and that’s why I’m so determined to celebrate it. I’m worried about the prevailing narrative that has emerged recently, however, for more reasons than one. You’ll have to have been living under a rock to have missed the emerging narrative surrounding Mo Salah and diving. Having not received a penalty at Anfield for more than a calendar year, the Reds have been given four in the past six games. I would be the first to admit that the Egyptian has made the most of the contact in some of the games, with the Newcastle one being the standout, but I’d also be quick to point out that I think every single one of them were penalties. There are numerous issues that confront those that call him a diver, not least of which is that players are given little choice but to exaggerate contact if referees refuse to give penalties when they don’t. When Liverpool don’t get a single penalty at Anfield in 400 days despite countless good shouts … silence. When Liverpool get 4 penalties in half a dozen games… national outrage! I would be amazed if every single referee that has given Liverpool a penalty over the past few weeks didn’t look back over the footage and think that they made the right decision. 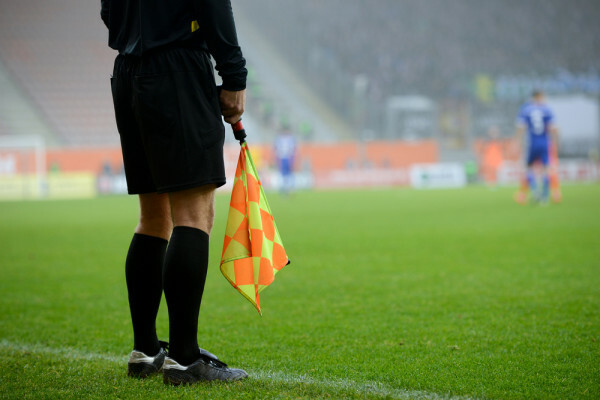 Referees aren’t idiots on the internet, easily swayed by what other people are tweeting, but professionals who know that they are judged by the decisions that they get wrong more than those that they get right. That’s why I’m concerned about this new narrative that Mohamed Salah is a diver; it might only seem like its the kooks and the cranks putting it out there at the moment, but the longer it goes on the more likely it is to play on the minds of referees taking charge of our matches. There are numerous Liverpool fans who are revelling in all of the moaning, who are enjoying it as a sign that we’re doing well. My fear, however, is that it could yet develop into something that has an influence on the outcome of the title. Make no mistake, there will be occasions between now and the end of the season when we will have a genuine penalty shout. Whether or not we get given the spot-kick could be crucial, with huge matches against the likes of Chelsea, Tottenham and Manchester United still to come. What happens if we’re drawing at Old Trafford with stoppage time left to play, Salah goes down under a heavy challenge and the referee thinks twice about awarding us the penalty because of the narrative that the Egyptian dives? We can’t dismiss it as being enjoyable that everyone’s fuming then. Everyday I come on Twitter and everyday I see fans of other teams complaining about Liverpool. It’s absolutely glorious. It’s amusing right now that Evertonians are taking to Twitter every five minutes to declare us as the Devil’s club. It’s enjoyable enough to see fans of other clubs angry that we’re getting decisions that are stopping them from winning points. The problem is that at some point it might well start to be such an overwhelming narrative that we fail to get results that we deserve because referees are only human. It’s not as if the complaining has been limited to Twitter, with footballing neanderthals like Andy Gray and Richard Keys also jumping on the bandwagon. That’s to say nothing of managers such as Neil Warnock speaking out against Salah, presumably in order to plant the seed before we play his side for the second time. There are numerous reasons why Luis Suarez left Liverpool for Barcelona, not the least of which is the natural draw that South American players feel to the two major footballing powerhouses over in Spain. 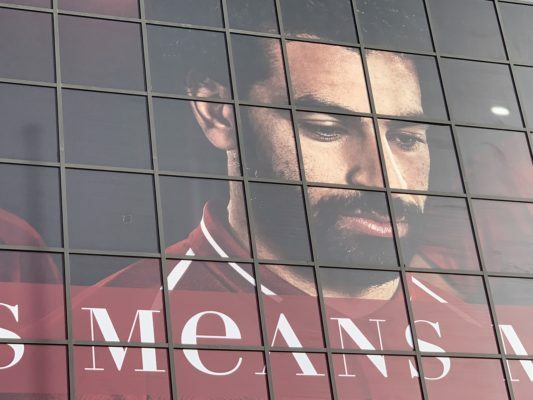 It’s entirely fair to point out that the Uruguayan won’t have been enamoured with England after the treatment that he received at the hands of the English press, which followed a remarkably similar pattern to the one that we’re currently seeing play out with Mohamed Salah. First of all his natural talent was lauded, with papers doing stories about his origins as a player and the hardships he went through. Then things began to turn the better that Liverpool were doing, including the narrative that he ‘went down too easily’ in order to win penalties, leading to his amusing celebration when he dived directly in front of David Moyes during the Merseyside derby. The longer it went on, however, the more he began to be hounded by the press and booed by opposition supporters. Now Luis Suarez was absolutely not an angel and there were plenty of things that he could be validly criticised for, but I’m not convinced that diving was one of them. Not that people in this country care that much about diving anyway, they just care when it’s not being done by an Englishman. In that very derby, for example, it was actually Phil Neville rather than our number 9 that threw himself to the ground in order to try to con the referee and promptly got pulled up on it. That bullying tactic by the press is something that the carry out regularly on players that they want out of the country because they don’t like the team that they’re playing for. Raheem Sterling at Manchester City is the exception that proves the rule, being treated despicably in spite of the fact that he’s English. That he’s rich, gifted and black doesn’t help his cause. How long will Salah be willing to put up with constant attacks from the press and opposition managers before he starts to think about an easier life elsewhere? How long before the lure of Real Madrid or Paris Saint-Germain becomes preferable to having to defend your reputation from ludicrous attacks from know-it-alls? The Egyptian comes across as a genuine, nice and humble guy in his interviews, knowing exactly how difficult it was for him to get where he is in life. When it gets to the point that an opposition team’s supporters start booing him before he’s even done anything then I can well imagine that he thinks it’s not really worth sticking around here any longer, which is perhaps exactly what those in the media are hoping. I’m more than aware that rival supporters will declare this to be something akin to victim-status, but it can’t be ignored that the idea of Liverpool winning a title terrifies some people in the football world. They love the idea of us being admirable failures, never quite hitting the heights of media darlings Manchester United in terms of leagues won. All of our most recent trophies fit that narrative because the wins were either spectacular, like Istanbul and the FA Cup win over West Ham, or else we scraped by as when we beat Cardiff in the League Cup under Kenny Dalglish. Just as the city of Liverpool should ‘know its place’, so too should the club avoid getting above its station according to the likes of Keys and Gray. This narrative isn’t just designed to get under Salah’s skin, it’s also primed to stop us from winning the title by influencing the officials. The maddest thing about everything that’s been going on, up to and including the idea that there is some sort of conspiracy to ensure that Liverpool win the title, is that they were all penalties. In the game against Crystal Palace, Mamadou Sakho had two or three nibbles at the Egyptian before kicking his foot out from under him. There wasn’t a debate, it wasn’t controversial, it was just a penalty. In the same match, Aaron Wan-Bissaka tried to trip him up a couple of times before eventually succeeding and being sent off as a result, despite the suggestions from some that it was yet another dive. Add to that the foul by Sokratis on Salah in the match against Arsenal that was yet another stonewall penalty. Goodnight, fellow Reds. I feel I can sleep more soundly tonight, safe in the knowledge that, according to fans of other teams, there’s a vast conspiracy, involving the Premier League, referees, and others, to make sure we win the league. Should be a walk in the park, then. As I’ve said countless times before on my Twitter account, football is hypocrisy. Every single club has players that go down too easily from time to time in order to win penalties; we might not like it, but it’s the nature of the sport. This jumping on the bandwagon of Mo Salah being the only one who has won soft penalties is all the more ridiculous because of the fact that all but one of them have been stonewall examples of what a penalty should be. Had he been booked instead of given a spot-kick against Newcastle then I’d have understood it, even though I think it was a pen. Those peddling the idea that we’re benefitting from generous refereeing can’t possibly believe it unless they also think their club shouldn’t be given penalties for similar infractions. It’s not a conspiracy, our players are just being fouled in the box. Are Liverpool Going Backwards Under Jürgen Klopp?